What is going on with World Superbikes? 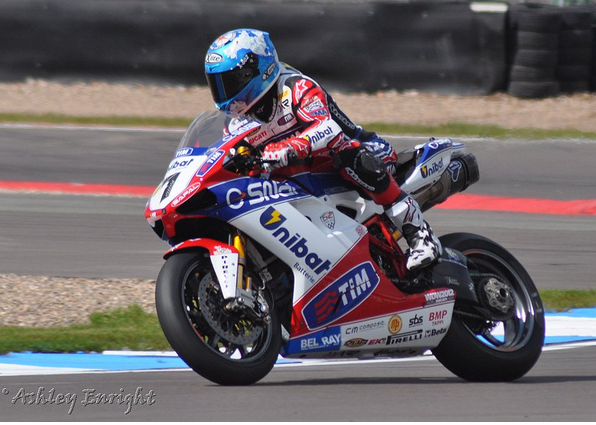 Could we see Haslam back in BSB if WSB were to collapse? It’s been revealed today that the Indian round of World Superbikes scheduled for March 10 (that’s under 2 months away…) is in serious jeopardy with a race against time to ensure it goes ahead. What’s more is this isn’t the only problem on the 2013 calendar which supposedly kicks off in just over a month at Phillip Island. Two rounds on the calendar are subject to contract, that’s Imola and the virtually bankrup Portimao circuit however it is thought that these rounds will go ahead. However, there is still a gap in the calendar for June 23, rumours citing it could be Brno or Misano however Brno have reportedly revealed they will not be hosting a round. Further to this, there are still only 16 confirmed riders on the grid – this is 6 less than last year and what’s worse is only Pedercini Kawasaki are expected to announce riders, taking the grid to 18 riders – a similar kind of size MotoGP had shrunk to before the introduction in CRT. It makes you wonder, what is going on? There is only one new name in World Superbikes for 2013, Jules Cluzel on board the Crescent Suzuki although it is expected Pedercini may enter rookies as well. 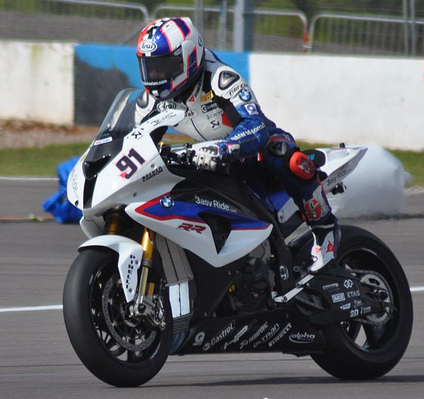 It has seemed this year that graduating from any class to World Superbikes has been a difficult task, Tommy Hill decided to take a year out of racing after failing to see a plausible route for him to progress to the world scene. It’s recently been announced that Dorna are considering scrapping the Superstock classes and lowering the specification of the superbike and supersport categories. I’m quite against scrapping the superstock and supersport categories as I feel it blocks a progression route for younger riders and limits riders looking to expand into Europe to the CEV championships run by Dorna (who seem to want a monopoly on the motorcycle racing industry). However, it’s widely suggested that World Superbikes was a sinking ship way before Dorna acquired the series from Infront – I believe the main issue is that it refused to bow down to the economic crisis and lower costs effectively. British Superbikes have introduced a range of technical rules to lower the cost of racing, without damaging the spectacle of the scene or the superstock classes. World Superbike could really do with following in BSB’s footsteps, but are Dorna looking to take it too far and looking to run WSB as a purely stock championship? I see several problems with this, firstly, superstock bikes are currently around 4 seconds slower than the world superbikes, perhaps superbikes could get a bit slower (after all, they have been known to touch near MotoGP lap times at some circuits, Dorna wouldn’t want this) but 4 seconds slower? Secondly, whilst it is a small field, the field in World Superbikes is generally a field of world class riders, Carlos Checa, Tom Sykes, Leon Haslam, Sylvain Guintoli, Eugene Laverty, Chaz Davies, Marco Melandri et al are all riders that should be riding at the top of the superbike game. If world superbikes was to fall apart, where would they go? CRT? BSB? I honestly think these guys think they are better than that, despite BSB being a series that is ever improving it is still viewed as a domestic championship in comparison to the world level, where these riders should be. Don’t get me wrong I think it’d be fab to see the likes of Haslam, Guintoli and Sykes back in British Superbikes however this then returns us to the problem of developing young British talent, as at the top of BSB you’d have riders who are further on in their career yet with nowhere else to go – there’s certainly reduced opportunities in GP these days and there’s a queue of Moto2 riders destined for the elite class (Espagaro, Redding et al) as well. It really saddens me to see World Superbikes in this state, the racing in 2012 was exciting, a lot more exciting than MotoGP and at least on a par with BSB if not better in some races, there seemed to be many more people following it. Yet now, nobody seems interested, you can see in the stats for the articles here on PaddockChatter, anything written on World Superbikes gets less hits than the more popular BSB and MotoGP articles – yet this year a Brit nearly won the championship and everyone was massively excited. Come on people, World Superbikes needs its fans. I can see Dorna bringing in a variety of cost cutting measures, hopefully towards the same kind of specification as British Superbikes (to encourage wildcards from BSB, they were always fun) and to maintain the similar racing we saw in 2013, perhaps with more consistent race direction, step up Gregorio Lavilla. World Superbikes is a class that needs preserving, the top of the superbike game where riders can be comfortable retiring knowing they had several world superbike crowns like Troy Bayliss and Carl Fogarty. Please, don’t let World Superbikes die. This didn't just happen, it started a few years back when Flamini started to seek a partner, obvioulsy then financial strains were showing. The resulting deal highlighted it, who gives away a good contract to a company and accepts 7% of the company formed to run it. Then they started dropping sanction fees to make it look good in my opinion, but the teams were suffering, with some getting assistance some get sweet FA. I really don't think they counted on ISM looking too close at the finance, trouble is ISM needed someone to bankroll them, when a capital ventures company takes control there is only one interest, MONEY.